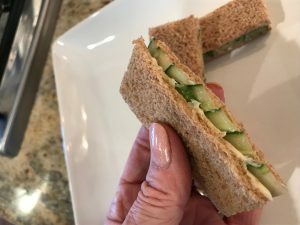 The humble cucumber sandwich. It’s what we all think of when someone mentions afternoon tea. With only three ingredients, you’d think it was a simple thing to make, but it does require some care. 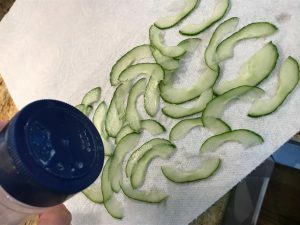 Cucumbers are filled with water. If you don’t take measures to drain out as much as possible, you’ll end up with soggy “pieces” and you don’t want that. Start with the cucumber. I like English cucumbers because they have fewer seedy bits and the skin is thin and tasty. I leave the skin on because it’s pretty. 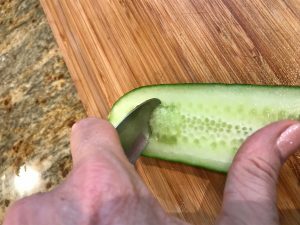 Slice the cucumber lengthwise, and scoop out the middle with a spoon. 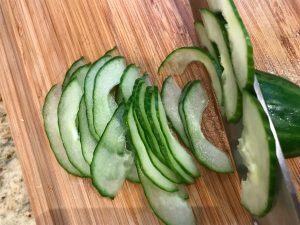 Slice the cucumber super thin. Like, so thin you can see through it. I would use a mandolin but they scare me. This is the part you can’t skip. 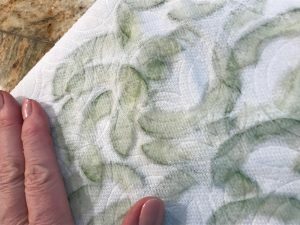 Lay the cucumber slices out on a paper towel, and lightly salt them to draw out the moisture. Cover and pat them. So much water! Now spread both sides of your bread with a thin coating of softened butter. Some people like cream cheese but I guess butter is what’s traditional. Arrange a thin layer of the cucumber slices. Assemble, and cut off your crusts with a sharp knife. See how lovely. I’m pretty sure I could eat about a dozen of these. 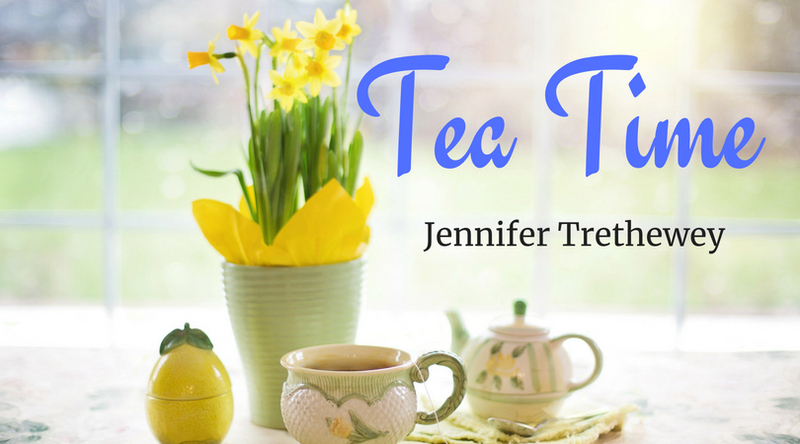 While enjoying your sandwiches pick up a copy of Jennifer Trethewey’s Betting the Scot. It’s Time for the OPAL Cover Reveal and Epic CONTEST Announcement!